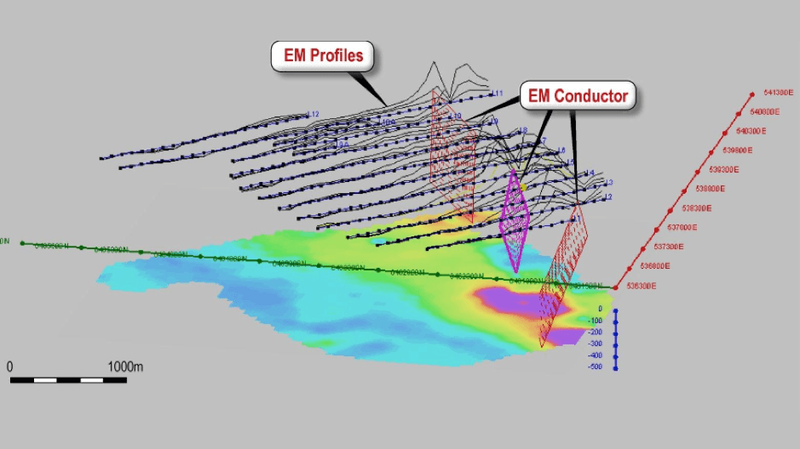 Rumble Resources Limited (ASX:RTR) has detected several off hole conductors from its Downhole Electromagnetic (EM) surveys completed in December 2014. The off hole conductors were identified from the first three holes that were drilled in its diamond drilling campaign in its Big Red Project in the Fraser Range, Western Australia. RTR’s Big Red Project is located 450km east of Kalgoorlie, Western Australia, and covers a total of 1491 km2. Specifically, RTR has discovered a 2km conductive zone within the Project. RTR are in solid company in the Fraser Range, with ground close to global mining giant, Vale; and Sirius Resources, which made the significant Nova deposit discovery that began the nickel rush in the Fraser Range a few years prior. RTR had previously discovered a 2km conductive zone, which is potentially located within a large mineralised system. This conductive zone was identified by air and ground based Electromagnetic (EM) surveys. The recent Downhole EM survey allowed RTR to search 100m in all directions, and capture subsurface conductive targets that may have been missed by the drill holes and previous surveys. The Downhole EM survey’s superior accuracy in mapping the area, as compared to air and ground EM surveys, is shown by the discovery of the new off hole conductor areas. The initial drill program tested only a small fraction of the total 2km conductive zone. There is plenty more high potential areas to drill test, and from early indications the potential to hit an area of massive sulphide deposits is enhanced by the identification of the off hole conductors. Further geological modelling will cover 700m of the total 2km conductive and magnetic zone, touted as potentially being similar in make up to Vale’s Voisey Bay nickel deposit in Canada. Pending the results of the modelling, RTR plans to drill the off-hole conductors in 2015. RTR’s maiden diamond drilling program included three holes that reached target depth of over 400m, all of which intersected Fraser Range mafic gabbro units (gabbro is dense, mafic intrusive rock usually rich in iron or magnesium). Mafic gabbro units were struck at two different depths for each of the three holes drilled. These types of rock units can contain magmatic nickel-copper sulphide deposits. Hitting such rock formations at the initial stage is significant, as further drilling can be more targeted, increasing the potential for a discovery. 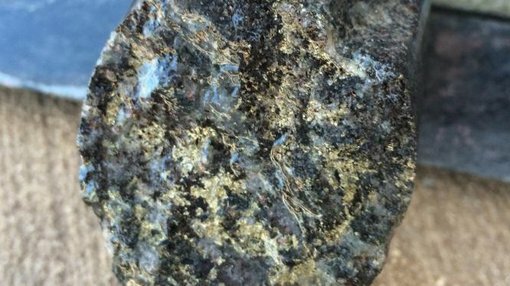 While it is still early stages in the exploration program, the fact that RTR found mafic gabbro units in its maiden drill campaign is a positive. It could potentially mean that RTR are edging closer to the discovery of a massive sulphide deposit, and this is reinforced by the recent identification of nearby off hole conductors. Many world-class nickel ore deposits have the same or similar type of rock formations before a massive deposit is discovered. Material taken from the holes is also currently being analysed to provide geochemistry information on the area. The results from these tests will help to determine further drill targets and subsequent exploration in the Big Red Project. Still in the Fraser Range, RTR’s Zanthus Project has been awarded $150,000 funding for the Western Australia State Government’s Exploration Incentive Scheme (EIS). The award of the EIS funding via competitive tender is the fourth successful bid by RTR, highlighting the potential of RTR’s drill programs. RTR had previously discovered five shallow bedrock conductors in the Zanthus Project area, located 20km east of Sirius Resources’ Nova-Bollinger nickel copper massive sulphide deposits. The funding will provide RTR with cash to facilitate the drill program in the Zanthus Project in 2015. The five potential targets were first identified by ground based EM survey in September 2014. Three of the five targets have been identified as priority targets. One of the targets is a high potential ‘eye’ feature measuring 2km by 1km. The ‘eye’ feature is similar in size to the one that led to Sirius Resources’ Nova deposit discovery. These features typically indicate the presence of mafic intrusive complexes that contain nickel, platinum and copper ore, which can include areas of massive sulphides. The Zanthus Project additionally has a large structural corridor that exhibits large intrusive features and magnetic properties. This area will also likely feature in RTR’s exploration program for 2015.